In this book, they've published the entire article. I have no copy of that article and have even forgotten I wrote it. But if anyone wants to know how the planetarium machine works, this is a quick explanation. I'm not sure I can make a copy and put it here. 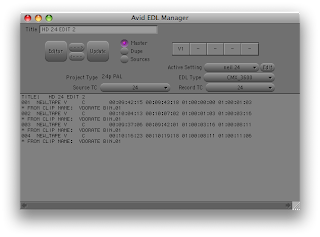 And, my earlier post on 'Editing HDCamSR 24p in an Avid Media Composer Mojo' has been linked on another blog here. Amazing how the 'word' travels. One of the big problems with small HDV, DV and XDCamEx camcorders is that their stock lenses aren't wide enough. They let you go very close with tele, but in tight spaces, its hard to cover everything if you don't have room to back up from the subject. Something like 35mm to 40mm is the widest many camcorders go down to. The Sony Z-7, S270, Canon HV20/HV30, XHA1 and many others. The S270 stock lens is 32 to 384 mm (35mm eqvt) with the .75x adapter it becomes 24-300 mm. For 'only' US$ 1235.00. And you can zoom with the adapter attached. Many other cameras are listed too check the dropdown. There are adapters for the XH-A1 and HV30 as well.